We’ve worked very hard to make sure our products are compatible with as many versions of InDesign as possible. Until now, we’ve maintained compatibility with InDesign CS2 and in some cases InDesign CS. Unfortunately this compatibility was stunting at times, and didn’t allow us to benefit from improvements in InDesign’s core technologies. There were a large number of improvements in CS3, and we have decided that to enable us to more effectively improve our products, we are dropping support for InDesign CS2 and earlier. Effective now, all our plugins are compatible with InDesign CS3 and later. We hope to support CS3 for the foreseeable future, but since the release date of CS2 was nearly five years ago, we feel that this decision will benefit most of our users, and have a relatively small negative impact. You’ve been talking and we’re here to tell you that we’ve been listening! You’ve been telling us that we have great products and customer service, but you’ve also told us that finding and getting acquainted with our products (and sometimes us) has not always been so easy. In the past few months we have spent quite a bit of effort on a number of fronts, and we are now able to offer the fruits of our work. When you’re done, let us knew what do you think. Easy on the eyes? Makes you hungry for more from In-Tools? Browse all the pages, particularly the product pages. Fill a shopping cart up to the brim and check out. Find out what a satisfying experience it can be to complete a transaction. 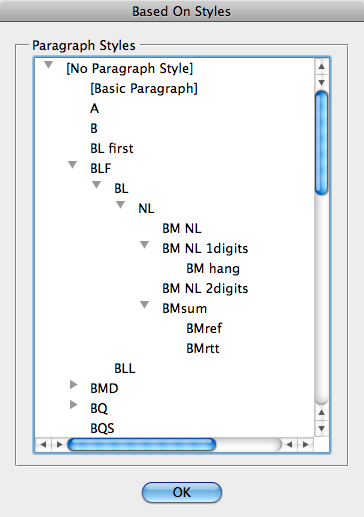 Text variables were introduced in InDesign CS3. They offer tremendous time-saving and quality-ensuring features which makes sure variable text always has the correct content. If you have ever needed to insert a lot of variables, you have probably been frustrated that there’s no really quick way to do it. You could assign a keyboard shortcut to each individual variable, but if you have any significant number of variables that you use, this is not a really viable option. Just select the correct variable (which can be done by keyboard navigation), and it will be inserted into your current text selection. To make the script even more useful, make sure to assign a keyboard shortcut! We’ve felt these frustrations, and decided to do a little something about it! This script serves one function: It zooms to the width of the currently selected object, or the text frame which selected text resides in. Just asign a keyboard shortcut to the script, and your frustrations will be greatly reduced! If you ever received a complex document from an unknown source, you know how difficult it can be deciphering the logic (or lack there-of) used to set the document up. When set up correctly, the structure of styles’ based-on dependencies are a tremendously powerful tool for controlling the attributes of text, but trying to figure out how styles interrelate can be very difficult. There is no way to see which styles are based on which other styles other than opening up each style and examining the based-on selection. This script was created to help discover how styles relate to one another.